Saudi Official Pushes Plans to Make Qatar an Island, Dump Nuclear Waste There, Sputnik News, 30 Sep 18 No man is an island – but the peninsular nation of Qatar just might become one, as it looks increasingly likely that Saudi Arabia will move ahead with plans to build a canal across the peninsula, cutting the nation off from the mainland. Reports have steadily emerged since April that the Saudi government was considering a canal across the Qatari peninsula roughly half a mile from the border. A Friday tweet by a prominent government official seems to further signal that the plans could be legitimate and not simply a public relations stunt or attempt at intimidation. As a citizen, I am impatiently waiting for the details of the implementation of the East Salwa island project. This great and historic project will change the region’s geography,” Saud al-Qahtani, a senior adviser to Saudi Crown Prince Mohammed bin Salman, tweeted on Friday, according to Reuters. The news agency noted that Qahtani has mentioned the canal several times on Twitter over the past few months. And if that wasn’t petty enough, the half-mile gap between the canal and the Qatar border would be turned into a nuclear waste dump, Press TV reported Friday. The waste would come from the 16 nuclear reactors the monarchy plans to open in the next 25 years. The South China Morning Post noted in April that the United Arab Emirates would be building a nuclear waste dump at the part of its country closest to Qatar, too. The Salwa Marine Canal Project would be roughly 37 miles long, 650 feet wide and 65 feet deep and would service a military base and tourist resort in addition to the nuclear waste dump, exiting to the Persian Gulf at the Saudi cities of Salwa and Khor al-Adeed, Gulf News reported in June when the Saudi government closed construction applications by interested companies. The ever-evolving situation at the San Onofre Nuclear Generation Station and its nuclear waste problem has become a hot-button issue for residents of San Clemente, Oceanside, and beyond. It’s immensely complex, but allow me, if you will, to oversimplify. Spent nuclear fuel goes through a years-long cooling process in pools before it can be moved to dry storage where it further cools until it is safe for transport to long-term storage. “Long-term” storage facility, though, is a misnomer. It’s essentially the permanent resting place for nuclear waste stored in extremely thick metal canisters. The problem at San Onofre and many decommissioned nuclear generation stations across the country, though, is there is no long-term storage facility. Or rather, one was planned for an area called Yucca Mountain in Nevada, but in 2011 the Feds pulled the plug. As a result, short-term solutions have become defacto long-term solutions, which is where we are today at San Onofre. Back in February, Southern California Edison and contractors involved in the SONGS decommissioning process began transferring spent nuclear fuel from pools to dry storage – or dry cask storage. Tens of thick metal canisters of spent nuclear fuel have since been stored on site adjacent to the generators beneath a concrete pad called the Independent Spent Fuel Storage Installation (ISFSI). When I toured the facility back in May (more on that later), SoCal Edison employees were adamant that public safety was of the utmost importance, and that these thick metal casks were not “buried in the sand” but rather safely stored in concrete for the interim. Employees also emphasized that Southern California Edison’s goal is to move the spent fuel as expeditiously and safely as possible. “Don’t forget, our families go in the ocean nearby, too,” many said. But Congressional gridlock and an inability to designate a feasible long-term storage site means what was once thought to be a safer short-term solution (dry storage is passive and doesn’t require energy to cool as in cooling pools) may need re-thinking. That’s why a group of activists, called the Physicians for Social Responsibility Los Angeles recently launched a letter-writing campaign urging the California State Lands Commission to authorize the local transfer of spent nuclear fuel to an area further east in Camp Pendleton. A sub-group of PSRLA called the Committee to Bridge the Gap has created a petition page, urging concerned citizens to put their name on a letter voicing their discontent. According to their website, the group claims this revised plan has garnered the support of former Nuclear Regulatory Commission Chief Greg Jaczko, U.S. government advisor on nuclear waste Tom English, and retired Navy Admiral Len Herring. The campaign explains that the failure to even consider the idea of moving the fuel east of the primary ISFSI site is a serious oversight on the part of those involved in the decommissioning process. The letter PSRLA is urging residents to sign implores the State Lands Commission to step in. “As public servants and members of the CSLC you have a moral duty to protect our safety. Please do not take that responsibility lightly,” it says. In 2002, the Centers for Disease Control estimated that virtually every American that has lived since 1951 has been exposed to nuclear fallout, and that the cumulative effects of all nuclear testing by all nations could ultimately be responsible for up to eleven thousand deaths in the United States alone. The United States did indeed learn much about how to construct safe and reliable nuclear weapons, and their effects on human life and the environment. In doing so, however, it paid a terrible and tragic price. Nuclear weapons have a mysterious quality. Their power is measured in plainly visible blast pressure and thermal energy common to many weapons, but also invisible yet equally destructive radiation and electromagnetic pulse. Between 1945 and 1992, the United States conducted 1,032 nuclear tests seeking to get the measure of these enigmatic weapons. Many of these tests would be today be considered unnecessary, overly dangerous and just plain bizarre. These tests, undertaken on the atomic frontier, gathered much information about these weapons—enough to cease actual use testing—yet scarred the land and left many Americans with long-term health problems. Bill Bufford, 31 Aug 18 Right wing nationalism is now linked to climate denial. In Sweden recently a rightwing nationalist-racist party took over. They threw out plans for renewables, and put an end to the phasing out of nuclear and nuclear reactors in sweden. Rightwing nationalism is racist and chauvenistic in nature. Right wing nationalism-racism is shown to be linked to a rise in climate denial as we see in america, sweden. 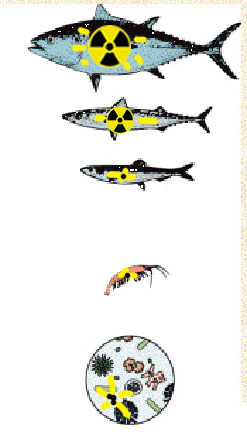 It is linked to the invigoration of dangerous nulear reactors in japan post fukushima. Even with the continued earthquakes and dramataic increases in dangerous tropical storms there. The Swedes were growing renewables and cutting nuclear. Trump counts wwhite nationalst-racists as his base. Trump is a strong climate deniar that is heavily into nuclearism. The same can be said of nationalist racists in Britain like UKIP. In germany. In Hungary. In Poland. Abe in Japan engenders nationalism through hatred of korean and chinese immigrants. Through hatred of other immigrants and refugees. He even illegally uses refugees to work for nothing at Fukushima; while they are irradiated to death. With neonazis and rightwing nationalists in power in sweden, they are scrapping renewables and planning on keeping old reactors open . They are planning on opening new nuclear reactors. Why is rightwing nationalism and, their awful racism linked to fracking, more fossil fuel-oil rigs and exploitattion, more nuclear reactors? It is because they have to manufacture the fake motivations and anger of racism, to justify their corporate bosses and others, disconnection from reality. Also they have to have a rallying cause for their fake and amoral cult like with Trump in america and Abe in Japan.The racism card fits the bill! Engendering rightwing nationalism and racism to further their dirty deeds and aims. Same can be said for nuclearists. “That many of the right-wing nationalist parties in Europe now have climate change denial as one of their most important issues. These parties are increasing in significance. At this moment of shifting world order, in which the atomic clock has been returned to two minutes to midnight (the first time since 1953) and the United States has committed to a 1.5 trillion dollar upgrade to its nuclear arsenal, one can be forgiven for a sense of déja vu. Unlike the 1950s, however, we are now aware of the risk of even greater extinctions in the next 100 years not only from potential full-scale nuclear war but also from the impacts of climate disruption across the entire biosphere. From here, if we are to identify the dynamics of both militarism and climate disruption with a view to achieving and perpetuating more peaceful conditions, we must recognise how oil – and control over its distribution – has been pivotal to the development of US-led world order since the turn of the 20th century. When US leaders claim the ‘exceptionalism’ of the ‘indispensable’ US nation, they are primarily referring to the US military capability to allow or deny access to supply corridors for the flow of vital resources, products, labour and market access. We can track this through various stages of the US empire. Having expropriated the lands of native Americans and propelled by its own abundant supply of oil, the US claimed the trophies of Cuba, Puerto Rico, Guam and the Philippines after the Spanish-American War in 1898 and entrenched itself in the oil-rich Gulf of Mexico and Caribbean region (‘Western Hemisphere’). As envisioned by ‘world island’ theory, in which maritime powers could claim hegemony by encircling and containing from the ‘rimlands’ any rival economic and military land-based power emerging on the Eurasian ‘heartland’, the US sent naval flotillas from US bases to control geostrategic ‘land nodes’, ‘geographical pivots’, and ‘choke points’ along resource corridors supplying the largest market at the time: western Europe. In 1900, the Russian empire accounted for over 50 percent of the world’s oil production and was the world number two producer by the 1920s. After the British procured an exclusive petroleum concession in 1901, British and French powers sought to undermine any coordinated resistance from a united Arabia by forming weak Arab provincial administrations that relied on revenue from oil extraction and distribution to Europe. By the 1920s, however, the US had over 70 percent of world oil production with an economy the size of the next six powers combined. After Standard Oil secured concessions in Dharan, ‘one of the greatest material prizes in history,’ on the Saudi peninsula by 1938, the US consolidated its operations east of Suez by 1944. 70 percent of world monetary gold and the US dollar fixed as world currency reserve. This leverage permitted the US to construct a ‘division and alliance architecture’ (UN system, NATO, US military bases) in which US bases were set up primarily in western Europe and East Asia on either side of the ‘world island’. US bases carry and store nuclear weapons and related systems; they surround territories with large oil and gas reserves and strategic transport corridors; they facilitate rapid interventions and support for proxy wars, economic warfare, and information/psychological warfare. US operations conducted from these bases have primarily targeted governments, authoritarian or otherwise, that seek autonomous and sovereign control over their country’s resources, markets and finances. Despite the hype surrounding Soviet plans to invade western Europe and its potential attack US cities in the early Cold War years, there is evidence to show that it was indeed hype, and by 1960, the US could target and destroy almost all Soviet and Chinese cities with near-simultaneous nuclear attack, ostensibly in ‘retaliation’ for a nuclear attack by the enemy. Only by the mid 1970s did the Soviets really catch up with the US in terms of scale and sophistication of nuclear weapons to establish a period of détente. In the intervening years more nations acquired nuclear capability in either a clandestine fashion or outside the Non Proliferation Treaty while others relied on US ‘extended nuclear deterrence’ in return for hosting US bases and other bilateral agreements. In the 1970s, with large debt from the American War in Vietnam, and with several countries seeking return of their gold security deposits from the US Federal Reserve, the Nixon administration withdrew from the gold-backed system rather than allowing the dollar to devalue. When oil prices sky-rocketed with the OPEC oil embargo, the US arranged a financial mechanism whereby all OPEC nations would trade oil exclusively in US dollars in return for US military protection and weapons contracts. The dollar remained the world currency reserve, the US could disregard its national debt from foreign wars and US and UK banks amassed huge profits from commissions on foreign currency exchanges for the purchase of oil, the world’s largest commodity. The Tengiz field oil reserves in the Caspian Sea were discovered in 1979, the same year as Iran’s Islamic Revolution. The latter was met with heavy sanctions while Saudi Arabia’s Wahabbist Islamic uprising at Mecca was not. The US armed and trained Islamist mujahideen to fight against the Soviet-backed government in Afghanistan (Operation Cyclone). Saddam Hussein’s Ba’ath Party was installed by the CIA in Iraq and aided to fight Iran for eight years. Wahabbism spread to Pakistan and to Chechnya, Dagestan, Albania and Kosovo – Russia’s soft oil-rich underbelly. In 1991, despite the opportunity to withdraw US foreign bases and ratify arms control treaties with the disintegration of the Soviet Union, the US together with NATO proceeded to foment ‘Colour Revolutions’ in resource-rich former Soviet-aligned states (Yugoslavia, Ukraine, Georgia, Moldova). The Persian Gulf War launched that year, rather than to stop an illegal invasion by a dictatorial regime and to keep local gas prices low, was primarily to enable US control over the distribution of Iraqi oil and further its reach in the region. Similarly in Afghanistan 2001 and Iraq 2003, rather than retaliation for the 11 September 2001 attacks or to destroy mythical Weapons of Mass Destruction, the Iraq War was to prevent Iraqi oil being traded in Euro, to weaken the Iraqi state by supporting competing factions and claim a stake in roughly one-third of Iraqi oil production. Since then, in 2018 the Trump administration added insult to injury by demanding that the costs of the US-led engagement in the Iraq War be paid for in oil. The selection of Hamid Karzai, with connections to the US oil industry, to lead Afghanistan, and the installation of US bases (including the huge Bagram base), allowed the US to further its access and control over oil and gas pipelines from Tengiz and Turkmenistan and leverage over the economies of US rivals in the region (Russia in the north-west, China in the East, Iran in the South). In Syria, while the Assad government stands accused of human rights abuses to its own population (and this needs careful scrutiny), US intervention in this multinational proxy war is not about democracy or international law. In 2009 President Assad rejected a ten billion dollar pipeline offer (proposed in 2000) from Qatar (North Dome field) and signed onto a PARS pipeline project from Iran (South Pars field) to Europe. Rather, it is yet another in a long line of US interventions to destabilise the Syrian government since 1947, and to increase its control over (via US bases in the north-eastern part of Syria) the distribution of oil and gas through the region to Europe. Similarly, rather than to bring about a corrective to Iran’s human rights record, years of US sanctions against Iran (Iran is an NPT signatory, maintains legal levels of uranium enrichment, centrifuge deployment and heavy water stocks, it has altered its Arak reactor to prevent significant plutonium production, provided the IAEA 24-hour access to its declared facilities and subjected its uranium mining to novel verification, has a legal right to possess non-nuclear missiles and combats terrorist groups) have been to weaken its control over resource flows through the Strait of Hormuz, slow its oil and gas exports to inhibit its economic growth and development of its military capacity and to support its rivals (and US allies) Saudi Arabia and Israel which seek regional hegemony. the gross imbalance in military and economic capacity between North Korea and the US and its allies. many nations outside the permanent (P5) nuclear weapons states such as Israel, the NATO nuclear umbrella states, India and Pakistan possess far higher numbers of nuclear weapons while remaining free of sanctions or threats. it is not illegal to conduct non-nuclear missile tests or sell missile technology to other countries. the US regularly tests its own non-loaded nuclear weapons and obviously sells missile technologies to many other countries. North Korea was the only nuclear weapons state to support the motion for the UN Treaty for the Prohibition of Nuclear Weapons in 2017.
the US’ legacy of abrogating its commitments in negotiations with North Korea. the US has conducted sporadic underground ‘subcritical’ nuclear tests since it ended its nuclear explosion tests in 1992, the latest of which was in December 2017. Adam Broinowski is a lecturer and researcher at the ANU, https://researchers.anu.edu.au/researchers/broinowski-arg. Why the U.S.-North Korea Nuclear Talks Have Stalled, Bloomberg, By David Tweed, August 29, 2018 Just a few months after Donald Trump’s historic handshake with Kim Jong Un in June, nuclear talks between the U.S. and North Korea are going nowhere. The problem is, neither side can agree on what the Singapore Declaration signed by both leaders actually means. Pompeo asserts that Kim accepted the “final, fully verified denuclearization of North Korea.” North Korean Foreign Minister Ri Yong Ho says all four provisions must be implemented simultaneously, not denuclearization first. Signing a peace treaty without a disarmament deal carries risks for the U.S. because it could legitimize Kim’s control over half of the peninsula and undermine the rationale for stationing 28,000 or so American troops in South Korea. Although Trump suspended some military drills with South Korea, he has so far refused to accept a symbolic peace declaration. That’s prompted the North Koreans to accuse the U.S. of backtracking on its commitments. Despite Trump’s post-summit claim that North Korea was “no longer a nuclear threat,” his agreement with Kim provided no timetable for giving up his nuclear weapons. Even the phrase “complete denuclearization” — a term preferred by North Korea’s that could be read to include nuclear-capable U.S. bombers and submarines — was left open to negotiation. The Global Rightward Shift on Climate Change, President Trump may be leading the rich, English-speaking world to scale back environmental policies. The Atlantic , ROBINSON MEYER, AUG 28, 2018 Last Thursday, Malcolm Turnbull was the prime minister of Australia. By the end of this week, he’ll be just another guy in Sydney. Turnbull was felled by climate-change policy. His attempt at a moderate, even milquetoast energy bill—which included some mild cuts in greenhouse-gas emissions—proved too aggressive for his co-partisans. On Friday, members of Australia’s center-right Liberal Party voted him out of office…..
Turnbull’s tumble remains a disquieting sign for anyone hoping for an aggressive global climate policy. In Australia—where global warming has contributed to the die-off of half the coralin the Great Barrier Reef since 2016—even a mild climate bill could not pass under a conservative government. Rightwing lawmakers, many of whom are allied with Australia’s booming fossil-fuel industry, seized on the climate aspects of the legislation. So last week, Turnbull abandoned it. The embarrassment ultimately led to his ouster: By Friday, his party’s right wing had voted to replace him.So Australia’s energy policy is now again adrift. Its new prime minister, Scott Morrison, is perceived in the country as being on the center-right, and he’s said he won’t abandon the Paris Agreement. But Australian carbon emissions have been rising for six years and it’s totally unclear whether it will meet its greenhouse-gas targets. The new prime minister has also already appointed a far-right opponent of renewable energy to lead Australia’s ministry of energy and environment. What else drove this coup? Look to a July speech made by Tony Abbot, a former Australian prime minister and by far its most conservative leader this decade. He exhorted Australia to follow President Trump’s lead and leave the Paris Agreement—……. Illinois senator wants communications between DOE and President Trump’s former lawyer. Think Progress, MARK HAND, AUG 29, 2018 A Democratic senator wants more information about efforts by Michael Cohen, President Donald Trump’s embattled former attorney who recently pleaded guilty to committing multiple felonies, to get the Department of Energy (DOE) to approve a huge nuclear loan application for one of his clients. Franklin Haney, who donated $1 million to Trump’s inaugural fund, reportedly hired Cohen to secure a $5 billion loan guarantee from DOE. Haney agreed to pay Cohen $10 million if he succeeded in getting the department to approve the loan guarantee. Sen. Tammy Duckworth (D-IL) sent a letter on Tuesday to Energy Secretary Rick Perry asking him for more information on how the agency is evaluating the loan application. She wants the department to provide a list of DOE political appointees, career employees, and contractors who had contact with Cohen or Haney — or representatives of either — in regard to the loan application for the Bellefonte Nuclear Plant project in Alabama. Duckworth is also seeking all memorandums, meeting notes, emails, and any other records related to Haney’s loan application and communications with Cohen. “This unseemly pay-to-play arrangement raises serious questions of conflict-of-interest, corrupt practices, and potential violations of lobbying disclosure laws,” Duckworth wrote in her letter to Perry. Haney, a Tennessee real-estate mogul who owns the Bellefonte Nuclear Plant site in Alabama, reached the agreement with Cohen just days before federal agents raided Cohen’s home, office, and hotel room, the Wall Street Journal reported earlier this month. The Wall Street Journal article noted that Cohen lobbied several DOE officials to support Haney’s loan application and speed up the review process, even though public records show that Cohen has never registered as a lobbyist. Duckworth said she is requesting the documents to help her office better understand how the DOE is evaluating Haney’s loan application. In her letter, she asked Perry for a “prompt and thorough response” to the document requests. Duckworth is a member of the Senate Energy and Natural Resources Committee, which has congressional oversight jurisdiction over DOE the Nuclear Regulatory Commission (NRC), and the Senate Environment and Public Works Committee. Earlier this year, Duckworth introduced legislation to protect whistleblowers who are employed by DOE and the NRC. Currently, DOE and NRC whistleblowers are at risk of retaliation, even when they report critical public safety concerns, because of administrative law rulings that allow the two agencies to dismiss any whistleblower claim brought against them under the Energy Reorganization Act’s employee protection authorities. Earlier this month The Wall Street Journal also reported that Haney agreed to pay Cohen a monthly retainer for his work on behalf of the nuclear plant. The loan application submitted by Haney’s company, Nuclear Development LLC, is still pending at DOE. In 2016, Nuclear Development entered into a contract to purchase the partially completed Bellefonte Nuclear Plant from the Tennessee Valley Authority (TVA) at auction for $111 million and invest up to an additional $13 billion to complete construction of the nuclear energy facility. The site includes two partially constructed nuclear reactors, which are 55-percent completed, two high-voltage switchyards, reinforced containment buildings, and used fuel storage pools and high capacity cranes for fuel loading………. This new wave of refugees will supposedly fuel crime rise, even though there is no empirical connection between migration and crime………. However, the subsequent Paris Agreement has a reduced mandate, as it only refers generally to ‘displacement’ – without specifying what the term means – as part of the Warsaw International Mechanism for Loss and Damage, which still lacks a coordinated framework for addressing the multiple challenges of climate migration. The recent non-binding Global Compact of Migration makes reference to climate change induced migration but does not provide a specific protection to climate displaced people. ………. Under siege: Safety in the nuclear weapons complex, Bulletin of the Atomic Scientists, By Robert Alvarez, August 30, 2018 The Defense Nuclear Facilities Safety Board—which oversees and reports on safety practices in the US nuclear weapons complex—is under siege. Congress created the board almost 30 years ago to address years of lax safety practices. Now, the Energy Department is seeking to block the board’s access to safety information, excluding the board from overseeing worker protection at dozens of facilities and blocking board staff from interacting with contractors that operate the department’s nuclear sites. At the same time, the board is undergoing an internal crisis that affects staff morale and, ultimately, its critical role in ensuring the safety of the government’s largest high-hazard research and industrial enterprise. French environment minister resigns https://beyondnuclearinternational.org/2018/08/29/french-environment-minister-resigns/Update: A newly leaked report examines the possibility of France building six new EPR reactors starting in 2025, after a prolonged period of inactivity in the industry. The report was ironically commissioned by Hulot and economy minister, Bruno Lemaire, and concludes that France “cannot stop building” reactors in order to maintain industrial know how and provide jobs, according to the newspaper, Les Echos, which broke the story. The report’s finding may have contributed to Hulot’s decision to resign. However, the notion that France would build six more EPRs was met with derision by nuclear critics who pointed out that the French nuclear industry has been unable to complete even one EPR in either France of Finland, where both projects are years behind schedule and massively over-budget. Opinion in France is decidedly mixed about the sudden resignation of French environment minister, Nicolas Hulot. He made his announcement on a radio show, taking the government of centrist, Emmanuel Macron, by surprise. Certainly, the ecological crown had sat uneasily on Hulot’s head throughout his tenure in government. He arrived there ostensibly from the activist ranks — he was also a journalist — and was thought to be strongly anti-nuclear. But when French gendarmes raided and destroyed an opposition encampment at the proposed high-level radioactive waste repository site in Bure last February, Hulot failed to come to the defense of the anti-nuclear activists, some of whom were arrested. Even when challenged in the French parliament for his silence, he bobbed and weaved, relying on evasive rhetoric. All smoke and mirrors, says long-time anti-nuclear activist and watchdog, Stéphane Lhomme of L’Observatoire du Nucléaire. “Nicolas Hulot has never taken any concrete action against the nuclear lobbies he pretends to fight,” Lhomme wrote on his blog.” He points out, as did Beyond Nuclear International in an earlier article, that Hulot’s foundation — Nature and Man — is funded by corporations, including EdF, the national nuclear utility. Macron and his “neither Left nor Right” party, known as Republic on the Move, has proven to be as malleable as his predecessor, the Socialist party’s Francois Hollande, at first announcing he would reduce France’s reliance on nuclear energy to 50 percent by 2025, down from the current 75 percent, as Hollande had vowed. But Macron quickly capitulated to the power of the nuclear lobby, and pushed the timeline back a decade at least. A new timeline will be announced next year. The French anti-nuclear network, Sortir du nucléaire, took a surprisingly conciliatory tone toward Hulot’s decision, saying in a press release that they “applaud the honesty and the political courage implicit in this decision.” The network praised Hulot for “denouncing the crushing weight of the nuclear lobby,” and stated that in a democracy it should be the people, not lobbies or a single, powerful leader who should set the direction of the country and its future. At the end of the day, the fallout from Hulot’s resignation may change nothing, or it may further shake confidence in the Macron government. Jean-Luc Mélanchon, leader of the Leftist “Unbowed” party, who was a Macron opponent during the presidential elections, proclaimed in a tweet that the Hulot resignation marked the beginning of the “decomposition” of Macronism. Whether Hulot was a champion of environmental causes stifled by a corporate-leaning government, or whether the ire of environmentalists finally reached his conscience, will play out in the coming months when we see what he does next. JIJI TOMIOKA, FUKUSHIMA PREF. – The head of a fisheries industry group in Fukushima Prefecture expressed opposition on Thursday to the idea of releasing water containing radioactive tritium from a crippled nuclear plant in the prefecture into the ocean. Using special equipment, Tepco is lowering the radiation levels in contaminated water at the plant, but the device cannot remove tritium. While the processed water is kept in tanks within the premises of the nuclear power station, the amount of tainted water continues to increase as the plant’s damaged reactors need to be cooled continuously. Tepco is about to run out of suitable sites to construct new storage tanks, according to the government. “It was as if someone my size had caught fire and walked through me.” When America dropped the nuclear bombs on Hiroshima and Nagasaki, the world watched as the atomic age began. The effects of the bomb were devastating and linger to this day. No government or military has ever detonated a nuclear bomb during a war since. But they have detonated them for various other reasons—including a series of tests designed to give soldiers a taste of what nuclear war might feel like. After World War II, the UK, USSR, and US detonated more than 2,000 atomic bombs. In Britain, 20,000 soldiers witnessed atomic blasts conducted by their own government. Only a few of them are still alive today and the nuclear glow of the mushroom cloud they witnessed still haunts them. “Nuclear detonations, that was the defining point in my life,” Douglas Hern, a British soldier who experienced five nuclear bomb tests, told Motherboard. The stories these nuclear veterans told Motherboard were harrowing. “Didn’t know anything about it when we went, we didn’t know what we were going to do when we went, only to be told we were going to be testing bombs. It was just sheer brilliant light,” Robert Fleming said. The most notorious of these experiments was the Castle Bravo detonation on March 1, 1954. 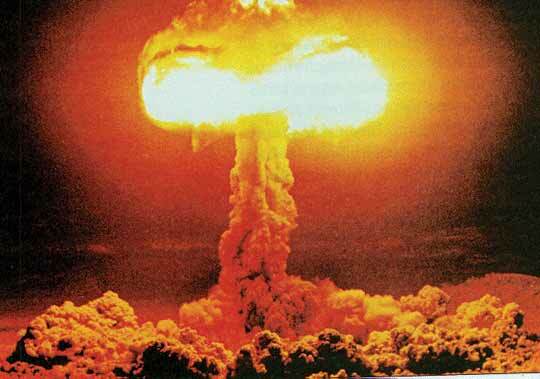 At 15 megatons, it was the highest yield weapon ever tested by the United States, but that high yield was an accident. Weapon scientists anticipated a yield of 6 megatons, but new weapon designs led to the inadvertent discovery of thermonuclear fusion chain reactions. The accident more than doubled the power of the blast. The nearby Bikini Atoll, Marshall Islands have never been the same. The tiny island republic experienced fallout from multiple nuclear tests over the years, but the Castle Bravo explosion permanently altered the islands and its people. To this day, its citizens experience birth defects and cancer rates many times higher than those of the general population. These men stood closer to the power of the atom and lived to tell the tale, but the blasts took their toll. Many have chronic health issues and cancers. The blasts sterilized certain soldiers, and higher instances of disease and early death were reported among the kids of those soldiers who did go on to bear children. Even the board’s acting Republican chair, former Navy officer Bruce Hamilton, who proposed Aug. 13 to trim the board’s overall staff by 32 percent, to 79 from 117, has said the DOE’s directive goes too far. It is, he said at a special board hearing about it on Aug. 28, “a subtle attempt to say that the board doesn’t get to decide” when its intervention in a potential nuclear weapons safety problem is necessary. ………The DOE directive was developed without input from the safety board, unions representing contractor employees at the weapons sites, and communities near those sites, according to testimony at the hearing by Matthew Moury, the Energy Department’s associate undersecretary responsible for worker and public safety. When asked by a board member if contractors were consulted, he said he could not recall. ………A safety board staff analysis, described at the hearing, showed that that the restriction on inspections would render off-limits 71 percent of all buildings currently routinely open to inspection by the safety board’s staff. These would include DOE’s Waste Isolation Pilot Plant, the New Mexico installation that serves as the nation’s only permanent repository for waste created in the making of nuclear weapons. It is still recovering from a series of accidents in February 2014 that included a radiation leak—triggered by a mishandled and mislabeled drum of waste that originated at Los Alamos—exposing 21 workers to what the Energy Department has deemed minor amounts of radiation. The cost of its recovery is expected to exceed $1 billion, with some estimates pushing $2 billion. ……..The Center for Public Integrity is a nonprofit, investigative newsroom in Washington. More of its work can be found here. WP, By Tamer El-Ghobashy, August 30 18 The United Nations’ nuclear watchdog said Thursday that Iran continues to comply with the terms of a 2015 nuclear pact, despite the United States’ withdrawal from the deal and renewed sanctions that have contributed to an economic crisis. The International Atomic Energy Agency certified that Tehran is complying with restrictions on its enrichment of uranium and uranium stocks in addition to other provisions, according to a confidential IAEA report reviewed by the Associated Press and Reuters on Thursday. It is the 12th consecutive report affirming Iran’s adherence to the deal that President Trump formally rejected in May by withdrawing from it and reimposing sanctions on Tehran. …….. It remains unclear whether the IAEA report will aid efforts by the deal’s European signatories — Germany, France and Britain — to save it amid punishing American sanctions. But both Iran and European nations have signaled that maintaining the terms of the accord as they are is unlikely. On Thursday, French Foreign Minister Jean-Yves Le Drian said Iran must be willing to expand discussions in order to salvage the deal and answer for its ballistic missile program and its role in Middle Eastern conflicts, according to Agence France-Presse. Iran’s supreme leader, Ayatollah Ali Khamenei, said Wednesday that he doubts Europe will be able to rescue the accord and that Iran may abandon it.